The Mennel Milling Company announces the hiring of Michael (Mike) MaGinn as Director of Operations for the Grain Division. 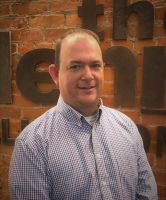 In his new role, Mike will be responsible for the operational oversight of the company’s grain handling and processing assets and functions. With a primary focus of providing global management of Mennel’s 13 grain facilities as well as training for approximately 70 grain employees, Mike will lead the grain team through shifting trends and facilitate the implementation of innovative efforts to achieve excellence in the grain industry. “The key to Mennel’s more than 130-year history is our commitment to quality, uniformity and service,” said David Marty, Vice President of Operations, The Mennel Milling Company. “We are thrilled to formally welcome Mike to the team. After 25 years in the agriculture industry, Mike recognizes the importance of safety, health and environmental responsibility. His experience in all aspects of grain production, such as: logistics, receiving, shipping, conditioning and storing of commodities, further demonstrates a commitment to superior product quality and top-notch technical service. "I am excited to get to know and work with the first-class team at Mennel,” said Mike MaGinn. “There is an extraordinary value and many unique opportunities that come along with being a part of a locally-operated and family-owned company. "I look forward to further sharing this value with Mennel’s many loyal producers in Ohio, Indiana and Virginia. Mike, his wife of 23 years, Amy, and children, Alec, Ashleigh and Aaron, are long-time residents of Upper Sandusky, Ohio, where he serves as Chief of the Upper Sandusky Fire Department.